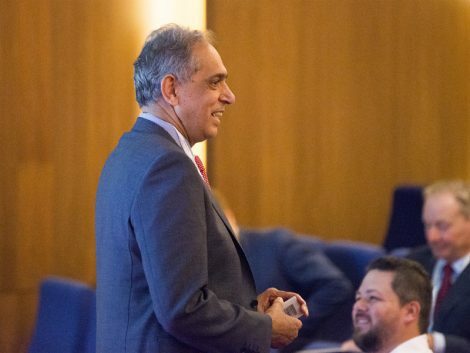 Dr Shailendra Vyakarnam, one of the UK’s foremost professors in entrepreneurialism in the tech industry, is heading up a unique scaling-up course for companies from the Silverstone Technology Cluster. The course, called ‘Growth through Green’ and funded by the European Regional Development Fund, is being held across a number of seminars at Cranfield University. It is based Cranfield School of Management’s highly acclaimed Business Growth Programme. Several companies from the STC are now actively engaged in the course which is unique because it enables company directors and managers to step back from the day-to-day demands of running their businesses. Shai commented: “We are very excited about the opportunity to work with the Silverstone Technology Cluster. Having met many of the companies based at STC, I know the levels of innovation and drive to succeed that exist in the cluster. Access to Cranfield School of Management’s leading academic experts and high growth mentors. STC CEO Pim van Baarsen said: “Growing and scaling up your business can be challenging. Market dynamics change, customers demand professionalism, teams need to grow and additional funding is required to innovate and move to the next stage.